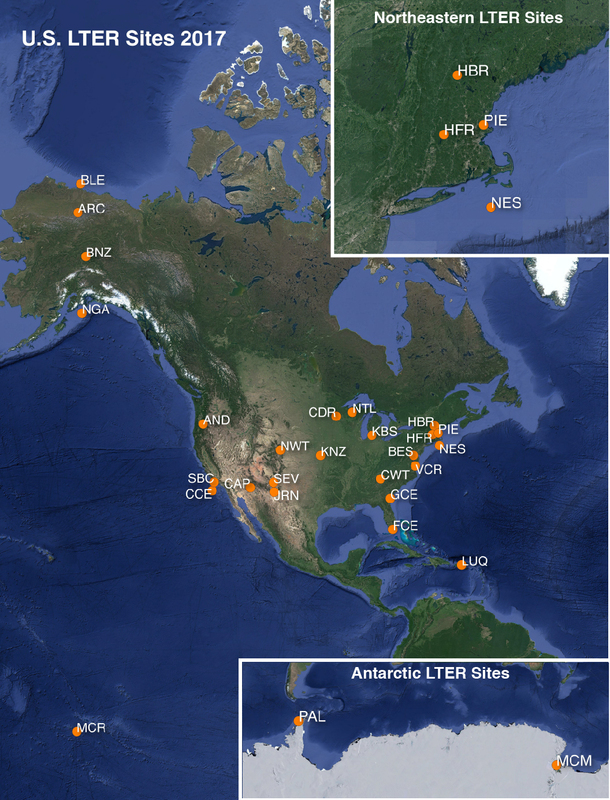 Where the National Science Foundation is the primary sponsor of a program, the agency must be prominently acknowledged through the use of the NSF logo and accompanying text. Complete details on the correct use of the NSF logo is available on the NSF website. 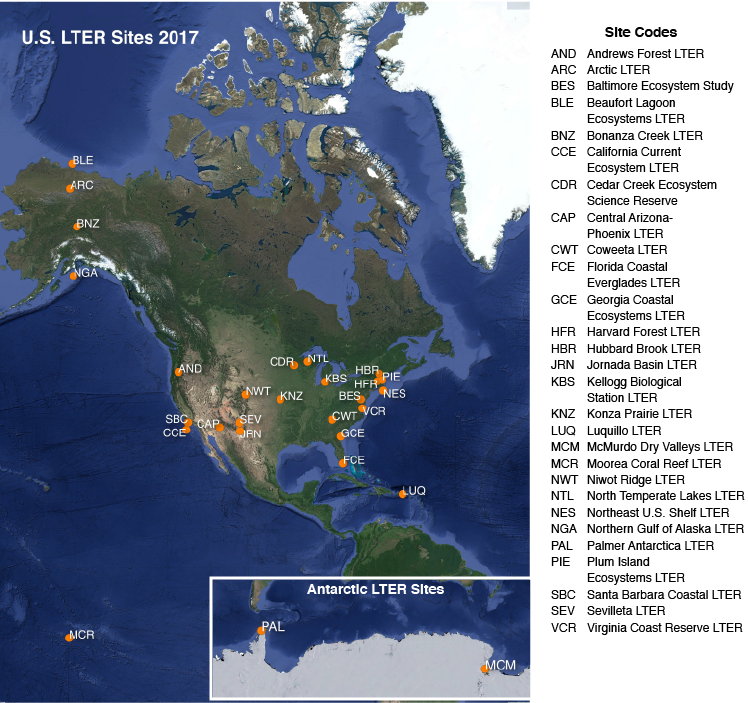 In 2017, the LTER Network developed a new logo to replace the traditional blue globe. 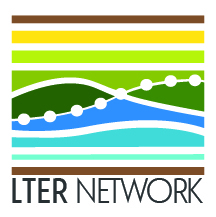 The new logo strives to capture the nature of LTER Network science and to communicate both the proud history and the dynamic future of the Network. png and jpg files are available from the links below. 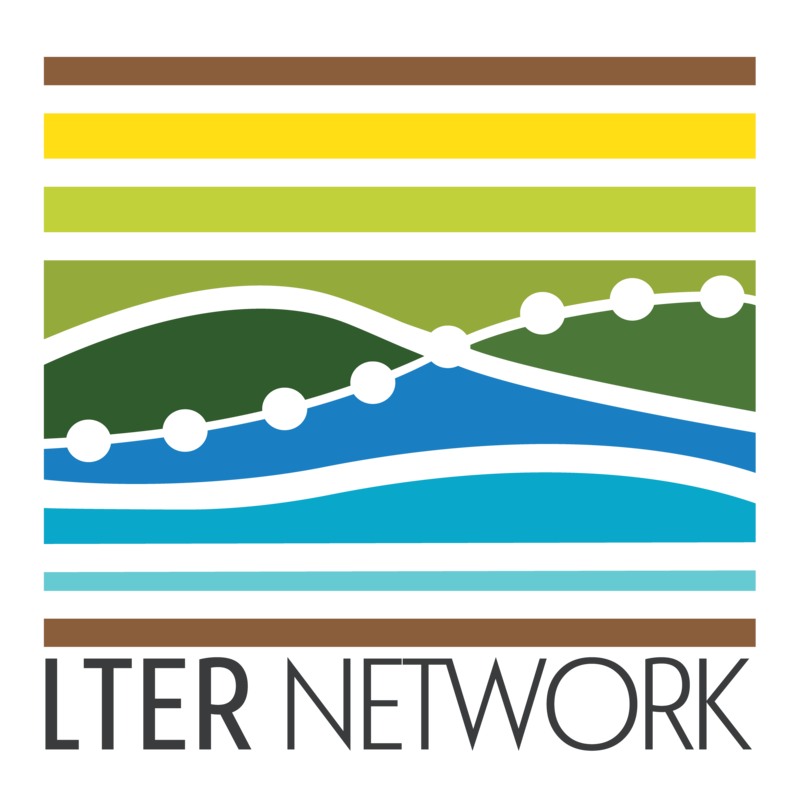 The horizontal logo is the primary LTER network logo and should be used whenever space and design considerations allow. The SVG file is a vector graphics file, which will allow users to create TIFF or EPS files at whatever size they desire. A square version is also available, primarily for social media applications. The SVG file is a vector graphics file, which will allow users to create TIFF or EPS files at whatever size they desire. 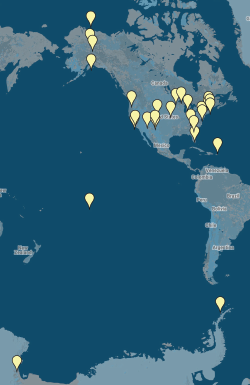 Links to NSF logos are available on the NSF website. The shaded version of the globe logo is preferred except for special purposes. 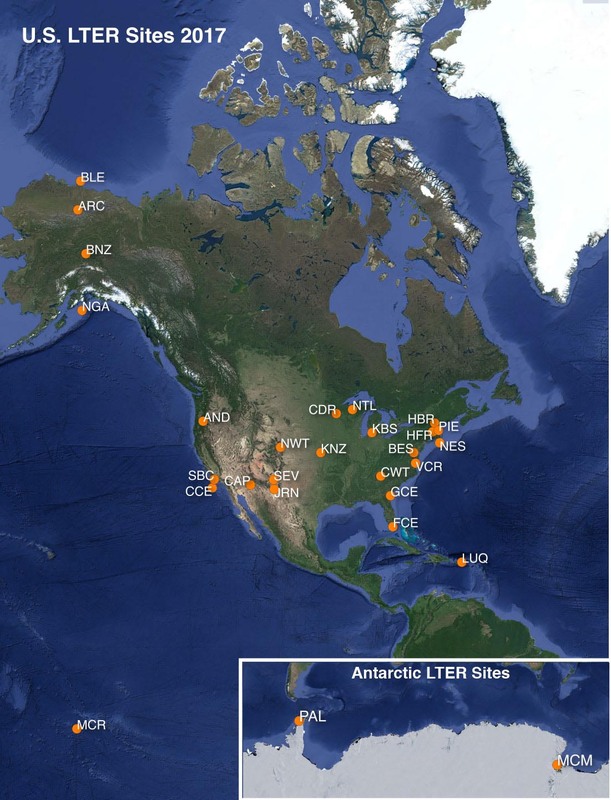 In 2017, the NSF added three new sites to the LTER Network. 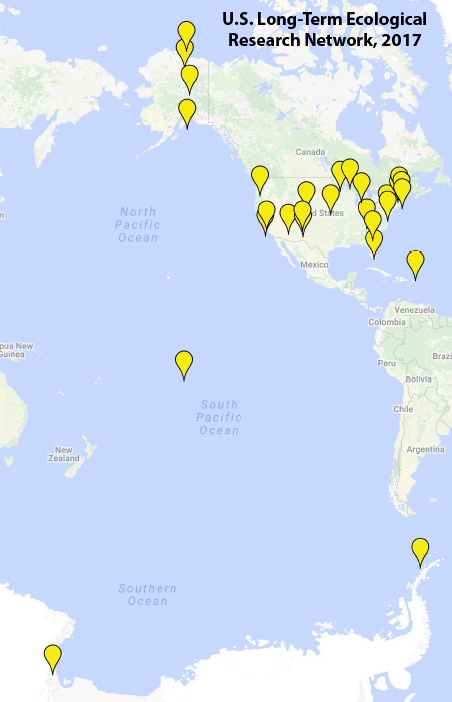 these maps reflect the composition of the Network as of October 2017. 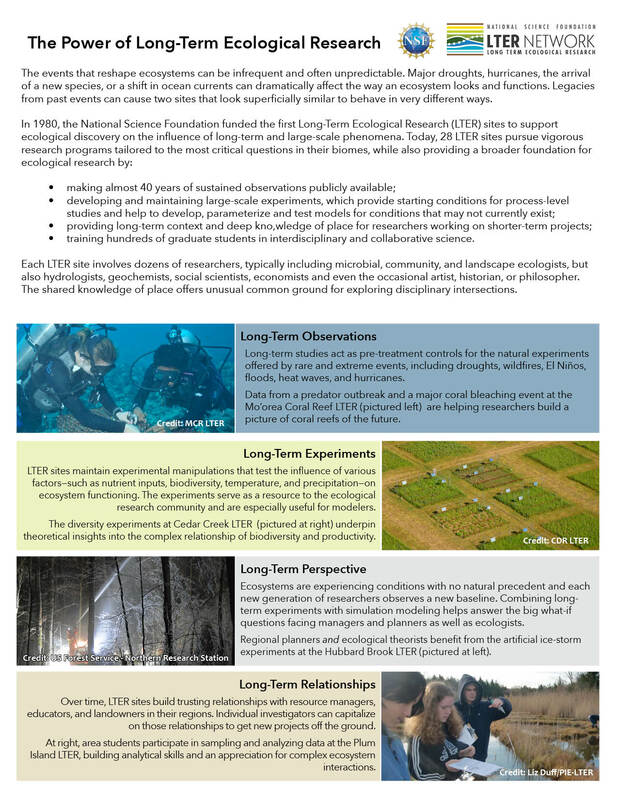 2018 LTER Network brochure (pdf). Printing instructions: print 2-up, double-sided on 8.5″ x 14″ (legal-sized) paper. Cut lengthwise into 2 pieces (4.25″ x14″). Fold so that the map appears on the front cover and the by-the-numbers panel on the rear cover. This one-page briefing document presents a concise view of the Network and the Network Communications Office. 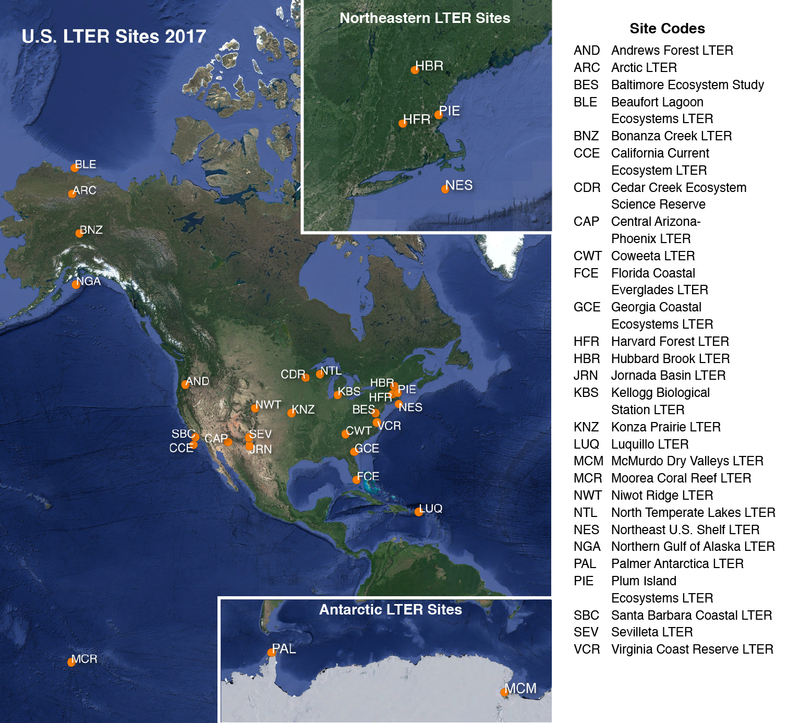 For LTER site use, use the first page only—or replace the second page with a similarly concise description of the local site. 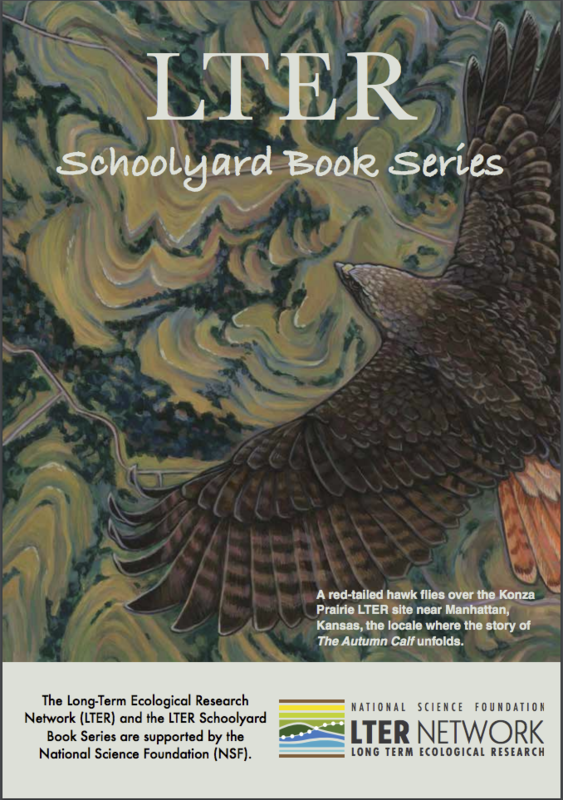 The Schoolyard Book Series catalog (updated 2017 to include The Golden Forest, Save Our Stream, and One Day in the Desert) is available through the LTER Network Communications Office.